NEW YORK , NEW YORK, USA, April 3, 2019 /EINPresswire.com/ -- The PerksConnect program, founded by the renowned Perks Group, maintains its standing as an industry leader by providing real value to both the customer and merchant and giving them access to one of the country’s largest and fastest-growing affinity programs. Perks began in 1988 as an employer-sponsored savings program that catered to companies with more than a thousand employees. Since their inception, the program has always stayed at the cutting edge of technology to offer a range of convenient ways for members to save as well as plenty of exposure for merchants. Perks Group offers members access to savings and deals in a convenient and user-friendly smartphone app that allows them to search for discounts by location. New merchants are announced frequently in the program, which allows members to connect with novel and location-based discounts and serves as ongoing marketing for participating companies. 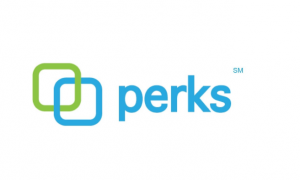 Since 1988, the Perks concept has been implemented in over 1,000 major corporations, colleges, alumni associations and partner affinity groups across the country. Today, millions of members access discounts across the continental U.S. through Perks that help them save on gym memberships, luxury gifts, movie tickets, mini vacations, dining opportunities and much more. Members gain access to a massive network of savings that puts real money back in their pockets—no points or reward system required. They can save on everyday purchases and necessities as well as find deals on luxury items and traveling fees. Through PerksConnect, Perks Group brought together consumers, local and national merchants, manufacturers and distributors under one convenient program that delivers daily deals across the country. Over 200,000 business locations in the U.S. honor the PerksConnect discount network meaning members can save on brand name items locally or as they travel. All they need is to provide proof of the discount through their app or with an access code (or, in some cases, provide a physical coupon or promotional code printed from the online portal). Those within the network may even suggest new merchants to Perks Group to help them potentially expand the program’s offerings. For companies looking to get involved in PerksConnect, Perks Group representatives do all the heavy lifting so entry is easy. Interested companies need only fill out a short form that includes items such as employees' zip codes and the markets where they would like to see discounts available. Perks Group will then arrange for discounts on products and/or services in those areas. Merchants are especially at a unique advantage with all the exposure they gain from being a part of such a massive network. New merchants are announced to corporate clients in their area, and the merchants can post info about their business and the discounts they offer right on the Perks website. They’re also provided free management tools that save time and help their businesses run more efficiently. Merchants gain access to all the same Perks deals as card-holding members, too. In all, the wide network Perks brings together combined with its great value to members, clients, and merchants maintain the company’s reputation as one of the leading affinity programs available. New merchants are added every day and the network continues growing rapidly and furthering its one-of-a-kind savings.